Nashville, Tenn. (Oct. 19, 2018) - GRAMMY® award-winning rock band SWITCHFOOT expands on their trademark epic soundscapes and explores new themes and textures on Native Tongue, the group’s 11th full-length album set for release on Jan. 18th, 2019 via Fantasy Records. The band also announced the North American leg of the Native Tongue Tour, which kicks off in Asheville, N.C. on Feb. 14th. (Full list of dates below.) 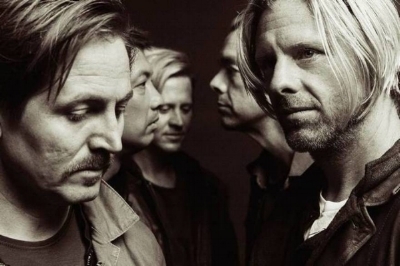 Colony House and Tyson Motsenbocker will join SWITCHFOOT as support acts. Public on-sale for the tour begins Oct. 26th. Click HERE for more information.